On the way to our cabin in Park Rapids, MN, for the 4th of July weekend, John and I stopped to visit friends at their summer place. During our visit, Tara and Brian suggested we go for a boat ride. Tara, getting a good look at my pale legs, said – “You are quite fair skinned! Do you want some sunscreen?” I thankfully accepted. In Minnesota – land of temperature extremes – one can expect to have a pretty good tan by the 4th of July. Seattle, Washington, where I grew up, is famous for cool and cloudy weather year round. In Seattle having a beautiful tan by the 4th of July is a status symbol. In 1961, the year I turned 9, we had a marvelous summer in Seattle – tons of sunny days and outside play. My next oldest sister, Margie – a very fair skinned redhead, not quite two years older than me – was expecting to celebrate her 11th birthday in August of that beautiful summer. One afternoon my older sister Chris’s husband, Ron, stopped by the house to visit; he caught sight of Margie and commented, “Hey, Margie! You’re sure proof that we’ve had a sunny summer this year – you are almost tan!” I mis-heard that statement, and indignantly said, “TEN? She’s almost eleven!” I got laughed out of the kitchen, but from that point forward my family referred to anyone with a ‘good tan’ as someone who had ‘an eleven’. 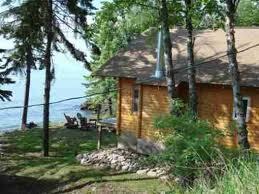 For the next several days I have the joy of being able to stay at our cabin in Park Rapids, MN. John, who hasn’t had steady work for the last couple of years, may have a few days of work this week, so being the wonderful provider that he is, he has gone back to our home in Zimmerman. John and I were here from the eve of July 2nd through the 6th of July – had a great time. Of course we couldn’t just sit around. We picked three flats of strawberries, which mostly ended up in the freezer; finished digging in a sewer and water line (four feet deep! ), and finished building a mini-deck for the front of the cabin. The weather was perfect, no bugs : ) The fireworks which we watched from our front yard, were beautiful! It was odd not to have family with us, and we missed them. Maybe we can be together next year. I have some goals for my week here: finish re-reading ‘So Brave, Young and Handsome’ by Leif Enger, and then attend his visit at Beagle Books in Park Rapids; work on the journals I am keeping for the grandkids and hopefully bring things up to date in all four of them; get a pedicure (! ), and write some letters. Sit out on the deck, swing on the glider, go for some walks with Mary Hasti, go to the book store, have lots of coffee, and a few other fun things, as well. Hopefully John can come up by Thursday night, and we can spend a nice long weekend up here together to finish off my week of vacation. This little cabin has been a wonderful blessing from God. Thank you Lord for your this gift!